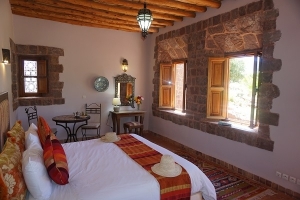 Kasbah Angour is a gorgeous boutique hotel & restaurant in a Berber castle in the Atlas Mountains near Marrakech. 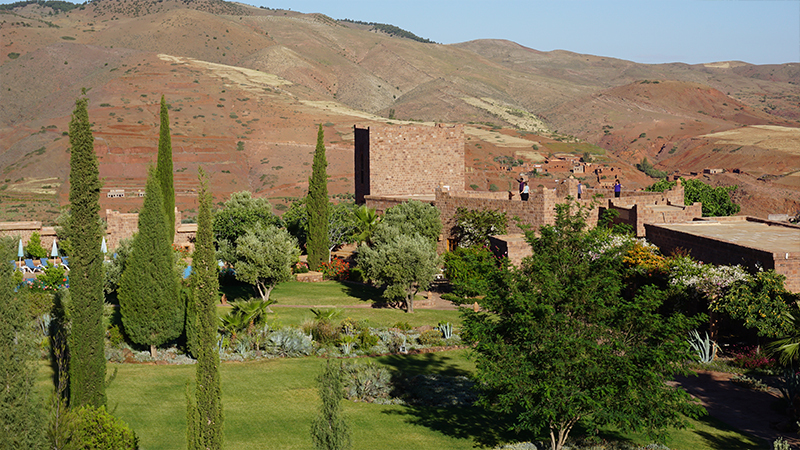 The Kasbah is perched on a hill-top and has superb panoramic views. 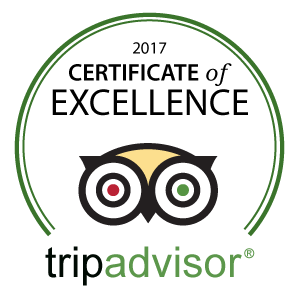 There are 25 rooms & suites, spacious public areas, a wonderful swimming pool and beautiful gardens. 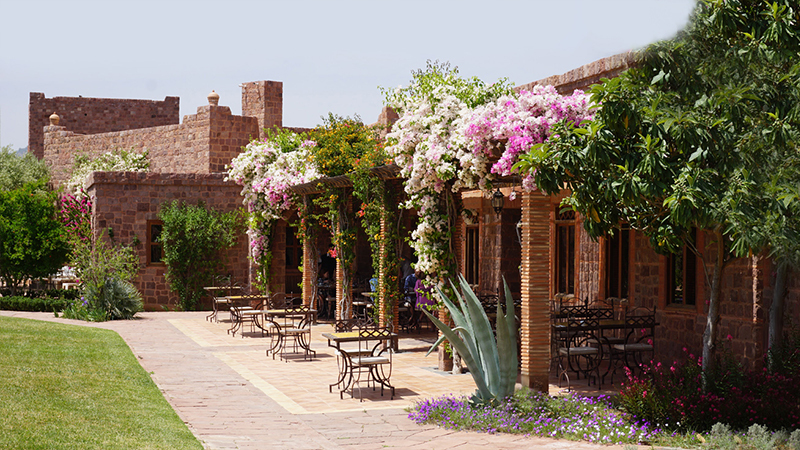 Guests at Kasbah Angour can unwind in the hotel’s gardens, explore the Atlas Mountains with one of our guides or visit Marrakech, just 30 mins drive away. Find out more by selecting topics from our carefully structured Menu. 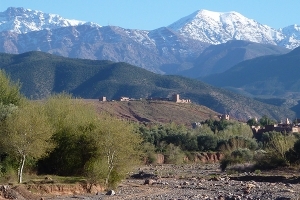 There are plenty of photos as well as details of what we offer for a successful holiday in a stunning part of Morocco. 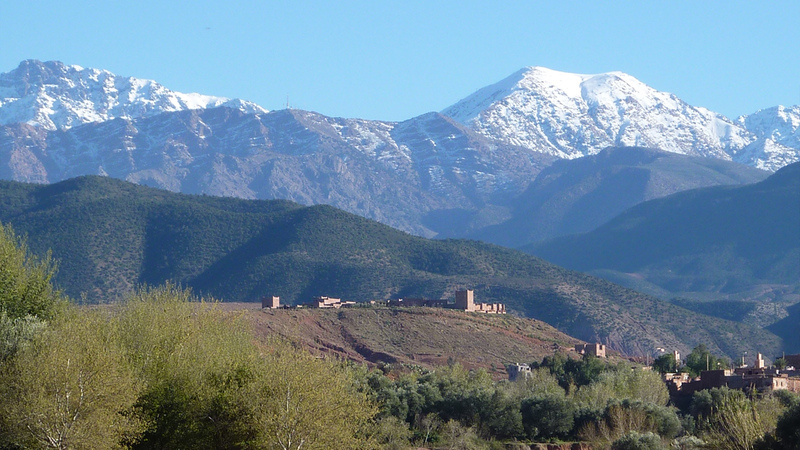 Kasbah Angour is a gorgeous Berber castle, perched on a hill-top in the Atlas Mountains near Marrakech, with superb panoramic views. Our boutique hotel & restaurant has 25 rooms & suites, spacious public areas, a wonderful swimming pool and beautiful gardens. 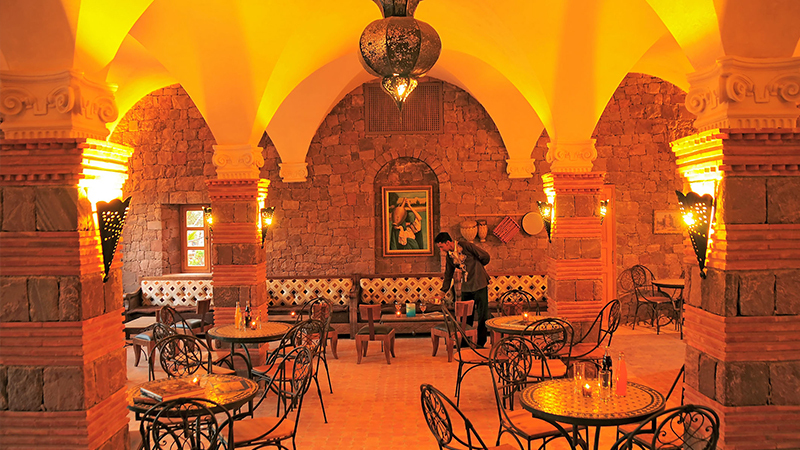 Kasbah Angour was established by an Englishman, Paul Foulsham, who first visited Morocco in 1986 and immediately became fascinated by the rich culture and diversity of the country. Fast forward 20 years when Paul saw the opportunity to create an eco-friendly hotel in the stunning Atlas Mountains near Marrakech city. Lucky to find a glorious hill-top site and capable local craftsmen to help fulfil his vision, Kasbah Angour opened its doors in March 2011. Paul applied a responsible tourism philosophy to create “comfort with a conscience” and contribute to rural development. 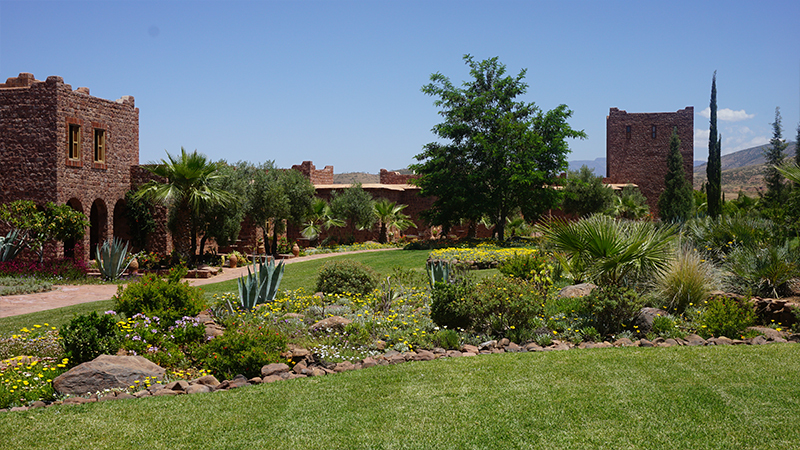 The team running the hotel comprises Moroccan Berbers drawn from the local villages and a British manager. 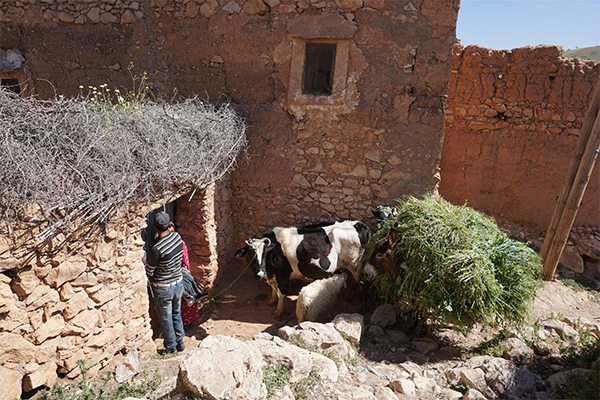 The Berbers are hard-working and kind people and this is reflected in service at Kasbah Angour. 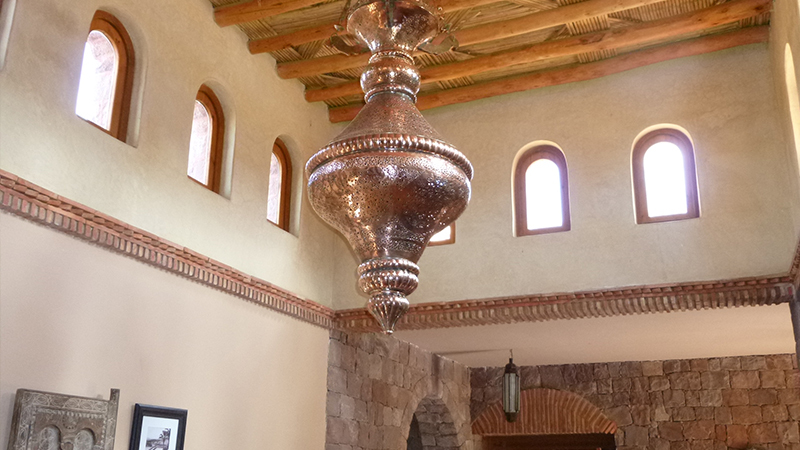 The underlying ethos is to show guests the best of Morocco. 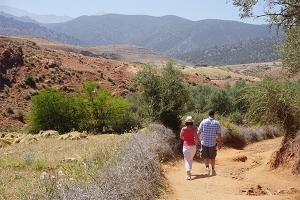 Our mission is to enable guests to experience life in an amazing part of Morocco. Although Kasbah Angour is near Marrakech, once you enter the Atlas Mountains there is a magical sense of space, tranquillity and beauty. The hotel is a marvellous spot to relax, take in the stunning scenery, stroll in the gardens to admire the plants & wildlife, and enjoy the sunshine at our large swimming pool. 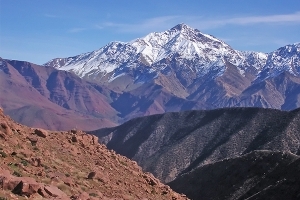 For those also looking for adventure during their holiday in Morocco, there is much to see and do in the Atlas Mountains. We have our own mountain guides and we offer good value excursions to see the best local sites. You will get a unique insight into the life of the friendly Moroccan Berbers. You can choose between leisurely walks, more ambitious trekking to the top of nearby mountain peaks, car or 4×4 excursions to discover the most dramatic places, mule treks and camel rides. 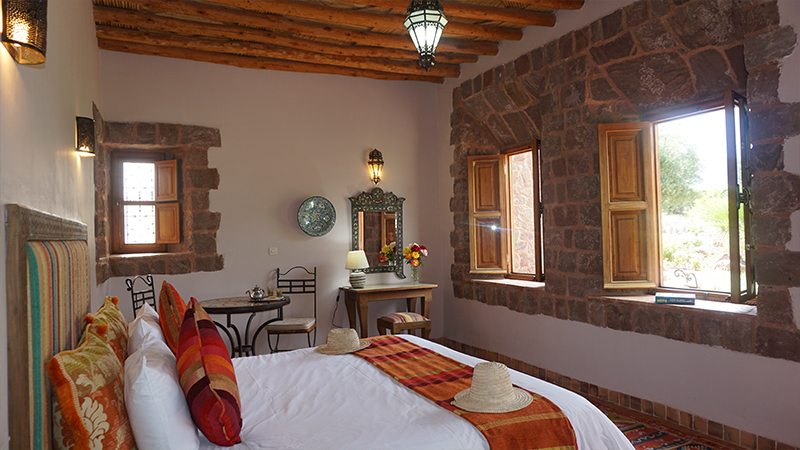 Kasbah Angour is also a great base to see Marrakech whilst staying in a much more restful environment. 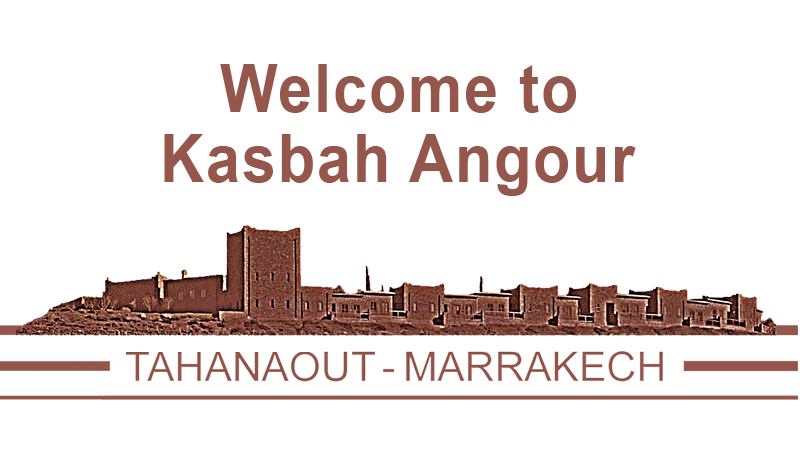 Book direct and we can arrange to meet you at Marrakech airport or pick you up in the city. 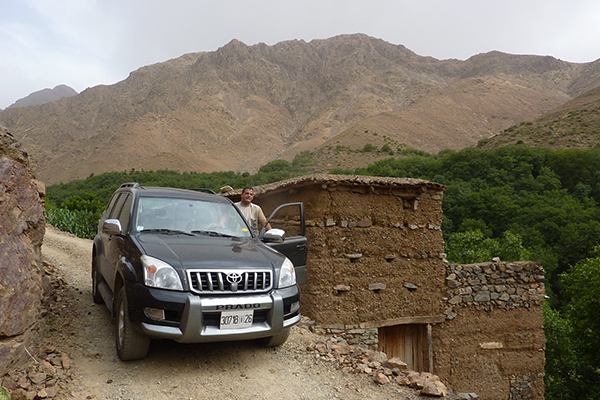 The hotel is only 30 minutes drive into the Atlas Mountains. From the UK, book online with BA, easyJet, Ryanair, Royal Air Maroc, Air Arabia or Thomson; a 3½ hour flight due south and a 30 minute road transfer finds you in a much warmer climate, where you can relax, take in stunning scenery and meet welcoming local people. We are also well situated for those interested in birdwatching, photography and astronomy. Whether you intend to bring your own group or join a scheduled specialist holiday, just follow the links for more information. Special prices in July & August. See Offers. “4 Nights for 3” in February. Free transfers from Airport for stays of 7 nights. Free room upgrade for honeymooners. Families: no charge for children up to 11.99 sharing with 2 paying guests. Christmas & New Year: no room supplements. See Room Rates. The climate in Southern Morocco is much warmer than Northern Europe. It does not rain very often and temperatures vary with the seasons. There are views of snow covered mountain peaks for 6 months per year, but the hotel is well below the snow-line and Winter days are mostly blue skies, sunny and warm. March to May: mid 20s. Ideal weather for strolling in the mountains and discovering the wild flowers and birds. June to August: low 30s. Guaranteed sunshine and the best months to enjoy the swimming pool. Sept to November: high to low 20s. Just right for late Summer holidays. December to February: high teens. Feels nice & warm in the sunshine. The best light conditions to admire the stunning views.